A source of energy that does not contribute to metabolic and digestive disorders and developmental orthopedic disorders (DOD) is a long-awaited breakthrough for the horse industry. JUNIORGLO, a Specialized Premium Blend product, contains the original stabilized rice bran, which is considered the best source of beneficial dietary fat for horses. JUNIORGLO, contains no whole corn or corn starch and is formulated by combining Stabilized Rice Bran, Omega Flax?, and Soy Shine® with protein, vitamin, and mineral sources to produce a unique feed that is more energy dense, thus lowering the feeding rate compared to traditional grain-based horse feeds. JUNIORGLO is a key component of FORAGE FIRST® programs and is the perfect fit for meeting the nutritional challenges faced by young, growing horses. FORAGE FIRST programs combine good-quality forage, GROSTRONG® vitamin-mineral products, and Specialized Premium Blends to produce balanced total rations. With this combination of feeds, horses can be healthy and perform at their best when fed less grain than they would receive from traditional horse rations. Consequently, horses are at less risk of metabolic and digestive disorders and DOD that may result from high-starch intake. Stabilized rice bran is the foundation of Alliance Nutrition’s Specialized Premium Blend products. JUNIORGLO provides GROSTRONG Minerals (since 1925) with vitamins and electrolytes and is also enhanced with direct fed microbials to boost foregut efficiency and Prosponse® brewers dried yeast, known to improve digestibility of forage components in the hindgut. The proprietary formula is beneficial for young, growing horses to synergistically accelerate the digestive process in the stomach and small intestine where maximum absorption takes place. More efficient metabolism of nutrients from the entire ration – resulting in availability of more nutrients and cost savings. Less acidity in the hindgut with more efficient digestive activity – reducing the risks of the number one and two killers (colic and founder) of horses. JUNIORGLO is a premium feed for foals and growing horses with protein, energy, vitamins, and minerals balanced specifically for safe, rapid growth. JUNIORGLO is especially effective in programs for show and sale preparation of weanlings and yearlings. JUNIORGLO contains Stabilized Rice Bran, Omega Flax ground flax seed, and Soy Shine along with highly digestible fibers from alfalfa and soybean hulls and is low in starch and sugar. It does not contain whole corn or corn starch. 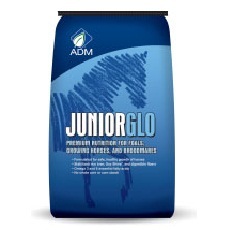 JUNIORGLO is also excellent in broodmare rations, especially when only low protein forages are available. 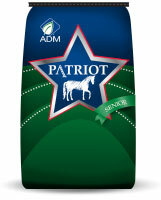 Specially formulated – Meets specialized nutrient needs of young, growing horses being fitted for show or sale. Provides high-quality protein sources – Incorporates dried whey and soybean meal, high-quality sources of amino acids for strong muscle development. 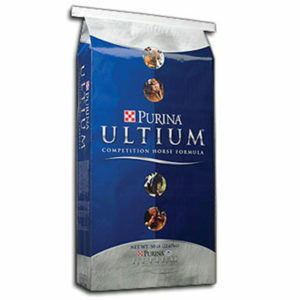 Added lysine – To ensure lysine (the first limiting amino acid) needs are met for proper growth and development. Contains Omega Flax – Ground flax seed is a rich source of Omega 3 essential fatty acids. 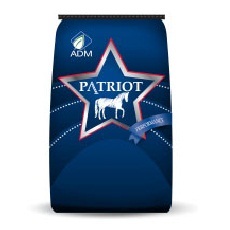 Provides highly digestible fiber – Beneficial fiber sources provide energy without producing symptoms of grain overload. Contains GROSTRONG Minerals – Provides major minerals, trace minerals, vitamins, and electrolytes to ensure horses receive nutrients needed for maintenance, growth, and performance. Provides ZinPro®* 4-Plex®* complexed (organic) trace minerals (Zn, Mn, Cu, Co) – More readily available compared to inorganic mineral sources, which could be crucial to young horses; gives an edge on mineral absorption. Provides direct fed microbials – Enables more efficient metabolism of nutrients from the foregut, resulting in better nutrient utilization of the entire ration. Provides Prosponse® yeast – Studies have shown yeast enhances feed palatability, digestibility, and hindgut fermentation. Provides natural-source vitamin E – Protects body tissues from oxidative damage. Vitamin E is vital to immune system functioning and may be especially important for growing and working horses as they are more prone to exercise-induced muscle damage. Natural-source vitamin E is more bio-available than synthetic vitamin E.
Pellet form – Better nutrient digestibility and absorption; easy to feed and reduces feed waste. 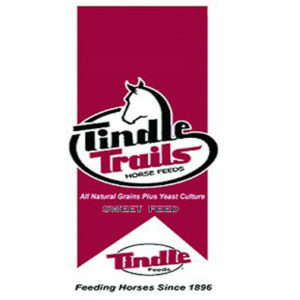 Palatable – Encourages feed consumption by young, growing horses. Product Form/Packaging: Pelleted form in 50 lb bags (80955AAA24). How Much is Needed: Feed 0.5-1% of body weight daily to suckling foals, weanlings, and yearlings in at least two feedings per day up to a maximum of 8 lb per horse per day (see Feeding Directions).